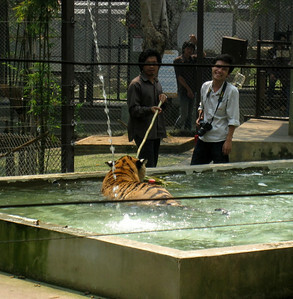 Tiger Kingdom in Chiang Mai, Thailand. 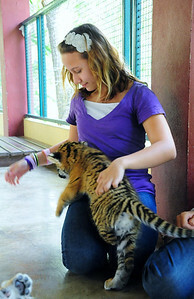 The tiny baby tiger crawling and jumping around in my lap. 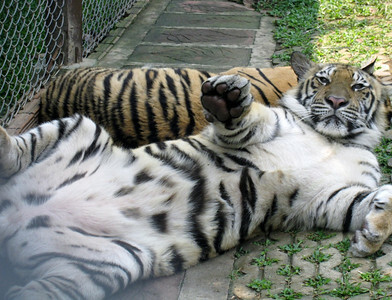 Like a dog, he liked to roll around on his back and cover his eyes. 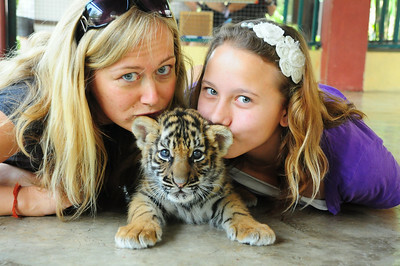 Jess, Dani, my Aunt Shannon and I at Tiger Kingdom, we were meaner than the tigers! 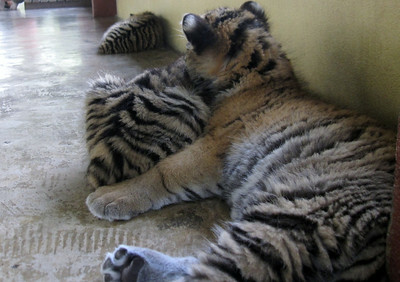 Dani and I kissing behind the baby tiger's ears, the baby tiger doesn't seem so thrilled about it though. 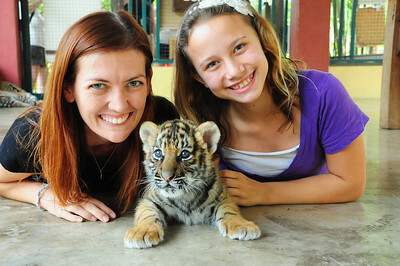 My aunt and I at Tiger Kingdom with a baby tiger. 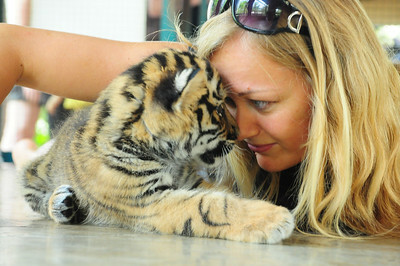 Dani and the baby tiger I decided to name Simba looking deeply into each others blue eyes. 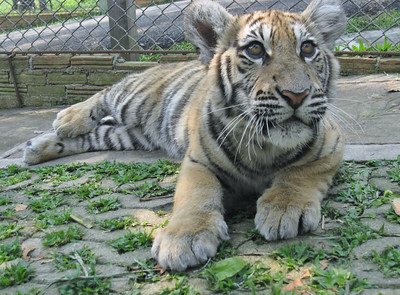 When the babies are new, their eyes are milky blue and when they get older, their eyes become a golden brown. 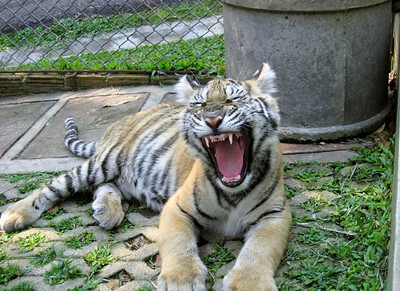 Medium sized tiger yawning, not screaming, at tiger kingdom. 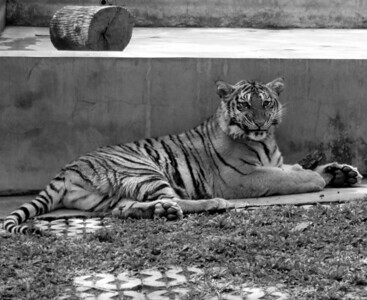 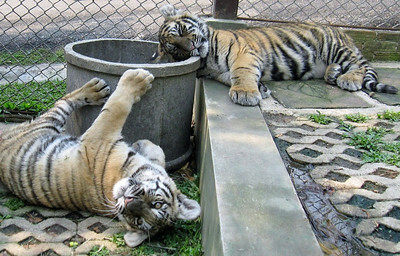 The medium tigers were the lazy tigers. 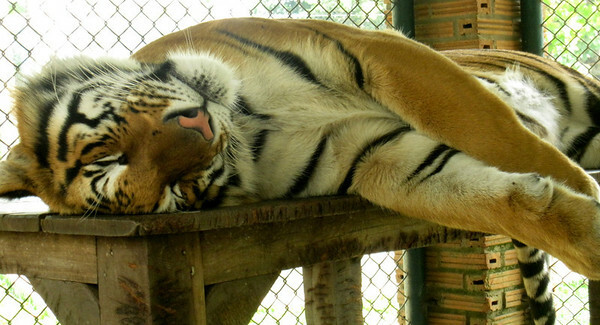 Evidence that the tigers at Tiger Kingdom are not drugged. 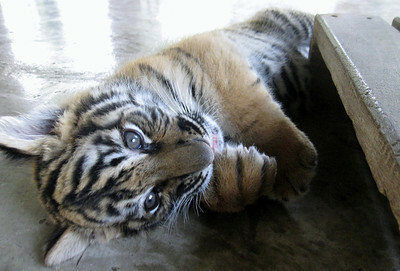 Baby tiger sucking his thumb, at least that's what it looks like. 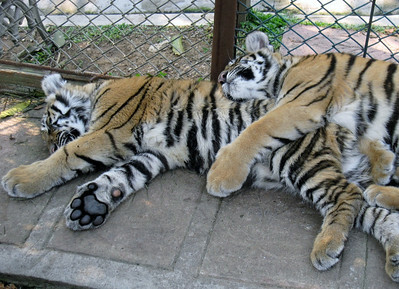 The baby tigers were laying on each other when we weren't allowed to go inside.